If you haven’t been lucky enough to secure some of York Region’s top restaurants, not to fret, we’ve got you covered with some fun and free (or low cost) ways to celebrate Valentine’s Day. These are just some quick ideas, you can take these and run with them, or add them onto your existing plans! 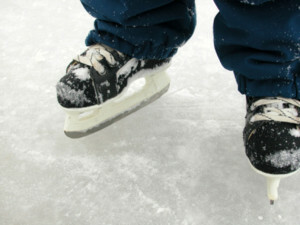 Go to an ice –skating rink with your favourite to-go-cup of hot cocoa or beverage of choice. Skate rentals are minimal and if you make your hot chocolate/coffee at home, you’ve just saved a few dollars! Toboggan hills are awesome for the same reason as above, free and with minimal equipment required. Chances are you already own a sled/toboggan or whatever you decide to go down with on-hand! Stroll your favourite Main Street, usually with the colder, darker weather, Main streets are lit up with beautiful seasonal lighting, a perfect place for that selfie! Go on a daytime hike, we’d encourage you to pick a day where you can still feel all your extremities! Pack a few sandwiches, bundle up and head to the great white North… Just kidding, we don’t want you to venture too far from home! You can even find your favourite forests and trails and come back every year. This sounds like the start of an annual tradition! Visit your local gallery or museum. Most of your local galleries or museums have no entry fee. Why not take things inside and get a view of some beauty and the artwork in the gallery! See what we did there? You know what’s fun and free? Planning out your future. Take your date to an open house! There’s no better feeling than knowing that your partner has the same design and aesthetic preferences as you do. We encourage you to visit our website for more events, activities and ideas!